For those who quiver at the thought of calculations and numerical deductions, unless when counting money, mathematics can be the equivalent of hell on earth. And for such 'math atheists' a mathematician like Harish Chandra can very well seem like a mirage. Harish Chandra is one amongst those few people who often change tracks in their career and yet reach a glorious destination. Yes, he was a genius who studied theoretical physics but decided to build a career pursuing higher mathematics as he felt that he didn't have the "mysterious sixth sense which one needs in order to succeed in physics". And higher mathematics, as anyone will tell, is that jumble of confusion where alphabets are used more than numbers, X and Y being particularly favorite. In a career spanning to three decades, Harish Chandra had worked with some of the best mathematical minds of this age and whose work in representation theory brought it from the periphery of mathematics to its center stage. Unarguably, he is the second greatest modern mathematician, after Ramanujan, of India. Harish Chandra Mehrotra was born in Kanpur, then known as Cawnpore in British India, to Chandrakishore Mehrotra, a civil engineer and Satyagati Seth, the daughter of a wealthy lawyer. He spent most of his childhood at his maternal grandfather's house where he received his early schooling at home from a tutor. He also learnt dancing and music. He was brilliant in his studies, but was prone to frequent illness and both these aspect of his childhood continued throughout his life. At the age of nine, Harish Chandra was enrolled in a private school and then completed his intermediate schooling from the Scindia School. He joined the University of Allahabad to study theoretical physics in which he proved to be a brilliant student. According to an interesting anecdote when C.V Raman was an examiner at the University, Harish Chandra solved the only question of the acoustic paper, which was on the theory of vibration of the mridangam, on the spot. He was given 100% marks by a highly impressed C.V Raman. Harish Chandra was influenced to study physics after reading the Principles of Quantum Mechanics by Paul Dirac. In 1941, he completed his B. Sc and received his Masters Degree in 1943. He then moved to the Indian Institute of Science (IISc) in Bangalore as a postgraduate research fellow under Homi Bhabha to work on problems in theoretical physics. As a research fellow, Harish Chandra published several research papers along with Bhabha, the first being 'On the Theory of Point Particles' in 1944. In 1945, Harish Chandra was selected as a research student under Paul Dirac and so moved to the University of Cambridge. In Cambridge, he became a lifelong friend of Wolfgang Pauli when during a lecture by the famous physicist, he pointed out a mistake. It was at Cambridge that Harish Chandra became more and more interested in Mathematics. In 1947, after obtaining his Ph. D he moved to the USA, where Dirac was teaching in the Institute of Advanced Studies at Princeton University. At Princeton, he worked as Dirac's assistant. His early influence in mathematics was triggered by the works of Hermann Weyl, Emil Artin and Claude Chevalley who were working at Princeton and subsequently, moved over to mathematics. In 1949, Harish Chandra moved to Harvard and in 1950 he shifted to Colombia University, where he worked as a faculty member. It was in Colombia University during the period 1950 to 1963 that he carried out research on 'semisimple lie groups' which were considered to be his best research. It was also during this period that he studied the 'discrete series representations of semisimple Lie groups' as his special area. He also worked with Armand Borel with whom he founded the theory of arithmetic groups and collaborated numerous papers on finite group analogues. Harish Chandra is also known for enunciating a precursor of the Langlands Philosophy known as 'Philosophy of Cusp Forms'. While still affiliated to Cambridge, he worked at the Tata Institute in Bombay from 1952 to 1953 and then at the Institute for Advanced Study at Princeton from 1955 to 1956 and as a Guggenheim Fellow in Paris in 1957 to 1958. In 1961, he awarded the Sloan Fellow at the Institute for Advanced Study and worked there till 1963. Thereafter, he went back to the Institute of Advanced Study in Princeton till he was appointed the IBM von Neumann professor in 1968 and served till his death. Harsh Chandra received many prestigious awards during his lifetime. In 1951, he published several papers on 'representations of semisimple Lie algebras and groups' for which, in 1954, he received the AMS Cole prize from the American Mathematical Society. In 1973, he became a Fellow of the Royal Society. The same year, he was awarded with an honorary degree from Delhi University. The Indian National Science Academy in 1974 awarded Harish Chandra the Ramanujan Medal for his work in mathematics. In 1975, he was made a fellow of the Indian Academy of Science and a fellow of the Indian National Science Academy. In 1981, he was made a fellow of the National Academy of Sciences in the United States and was also bestowed with an honorary degree from Yale University. A bust of Harish Chandra was unveiled at the Mehta Institute in his memory. His college, V.S.S.D College, which he attended during his youth, celebrates his birthday every year. The Government of India renamed a premier institute devoted to theoretical physics and mathematics the Harish-Chandra Research Institute (HRI) in his honor. In 1952, he married Lalitha Kale the daughter of Dr. Kale a botanist when he was serving a stint at the Tata Institute. He had two daughters Premala and Devaki. In 1983, Harish Chandra was attending a conference to in honor of Armand Borel's 60th Birthday in Princeton when he had a heart attack and passed away. He had suffered three heart attacks before. He died before he could attend a similar conference in his honor and so the scheduled event became a memorial conference. 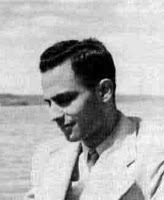 1945: Was selected as a research student under Paul Dirac and so moved to the University of Cambridge. 1975: Was made a fellow of the Indian Academy of Science and a fellow of the Indian National Science Academy. 1981: Was made a fellow of the National Academy of Sciences in the United States; was also bestowed with an honorary degree from Yale University.